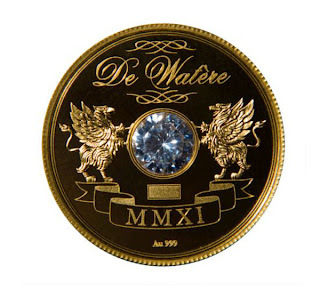 Bearing a 1ct diamond in a 1oz gold coin, champagne De Watère is one of the world’s most expensive champagne bottles. 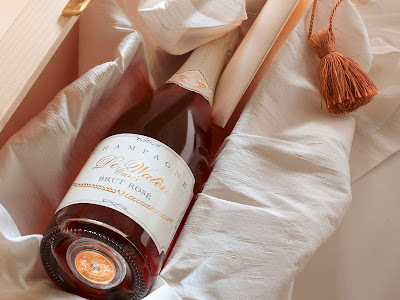 The luxury champagne is elegant aromatic available as Brut Blanc, a cuvée made from 80% Pinot Noir and 20% Chardonnay, tactful fruity experienced connoisseur of the expressive Brut Rose, made from 100% Pinot Noir. 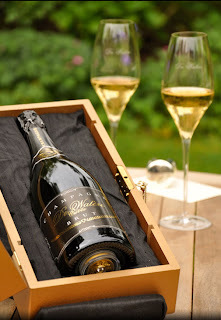 Even the case that two bottles are packed in, is a special case made in Bavaria, Germany, from solid wood, hand finished, wrapped in satin gold, and the case is then wrapped in gold foil which is further secured by a gold hand-woven braid sealed with the De Watère seal. 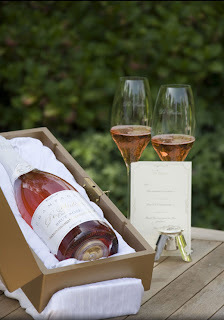 The 1ct diamond which sits in a 1oz gold coin can be found on the bottom of each bottle of champagne. 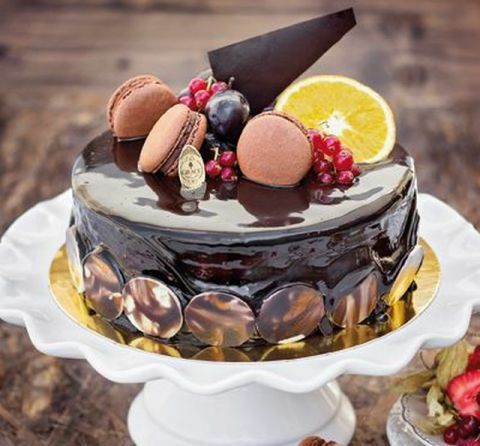 The coin represents family and their strength of unity, being embossed with elements from the family’s emblem. Two griffons hold the diamond high up while being eternal guardians of its impenetrability.